The latest horror flick from Ti West ('The House of the Devil') will be haunting Blu-ray in April. 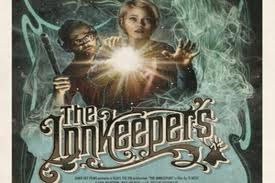 In an early announcement to retailers, MPI has revealed 'The Innkeepers' is coming to high-definition on April 24. You can find the latest specs for 'The Innkeepers' linked from our Blu-ray Release Schedule, where it's indexed under April 24.